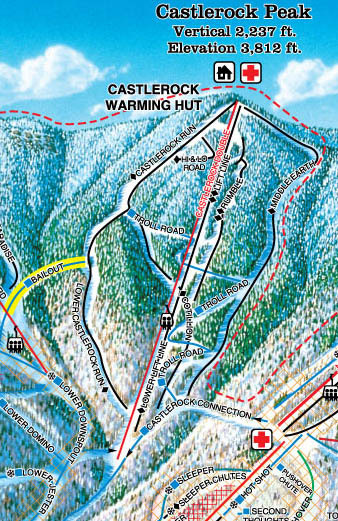 After a successful opening season in 1958-59, the owners of Sugarbush continued investing money by building a new complex. 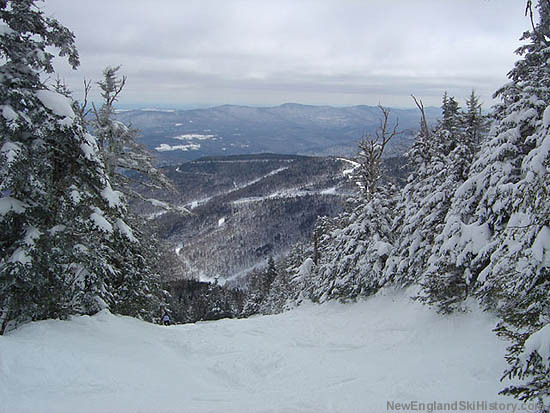 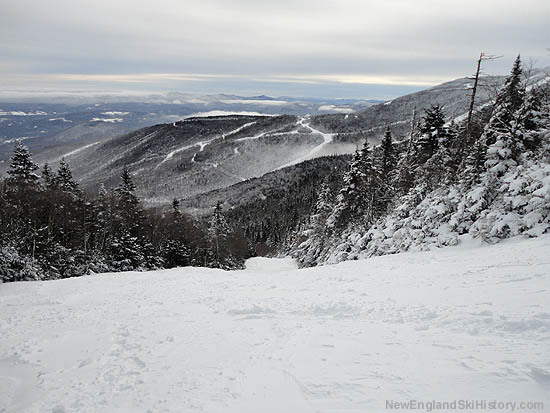 Serviced by a new Carlevaro & Savio double chairlift, the Castlerock area would quickly become legendary throughout New England. 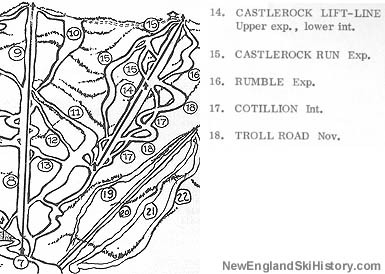 While the complex primarily catered to experts, a mid station on the chairlift allowed for intermediates to ski Cotillion and Troll Road. 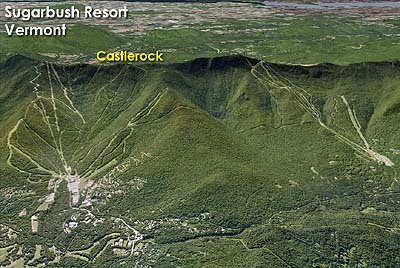 As the rest of the resort around it grew and modernized, Castlerock retained its classic feel throughout the years with narrow expert steeps. 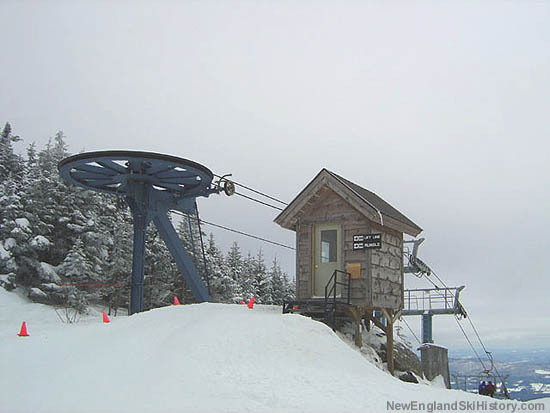 In 2001, it was finally time to replace the aging lift. 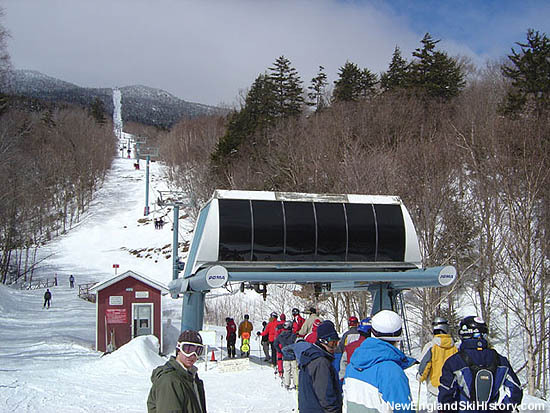 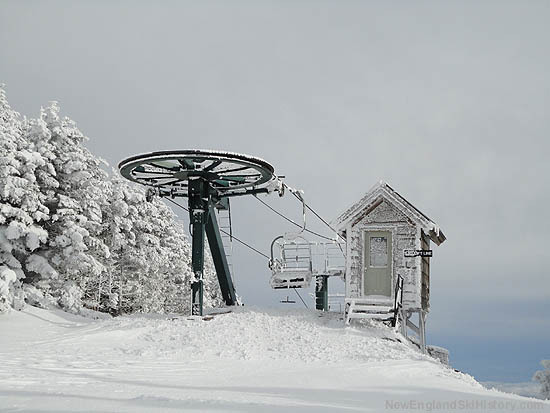 Rather than install a high capacity, high speed lift, Sugarbush's replacement was similar to what would happen at nearby Mad River Glen a few years later - a modern install of the same type of lift. 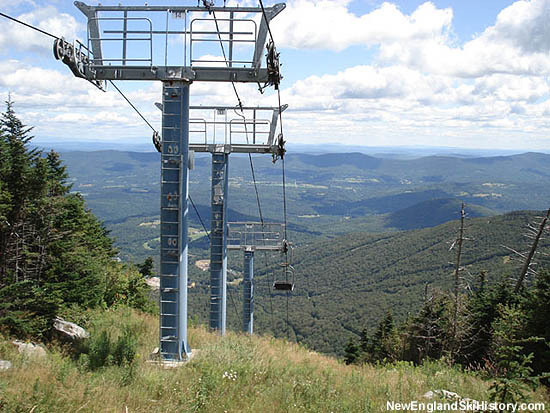 That year, a brand new 1,670 vertical foot Poma double chairlift was installed, ensuring reliable service whilst not overcrowding the prestine Castlerock trails.